Whether you’re driving through Arizona or you just want a cool place to stay, the Zuni Village RV Park is the perfect place to lay your head. The RV park makes it easy to access the historic downtown Kingman. If you haven’t been to Kingman, Arizona before, you’re in for a treat. This beautiful town has some of the most amazing museums and parks that are rich in history. First off, you have to check out the Mohave Museum of History & Arts. This museum is perfect for families and tells all about the history of Arizona. There are a lot of things that you won’t know, even if you live in Arizona yourself. After spending the day at the museum, rest your head at the RV campground. You could also go and see the beautiful Metcalfe Park. It is named after Charles Metcalfe who helped develop the city. The playground is really fun for those with children, and the shady picnic area is the best place to stop and have lunch. Historic downtown Kingman has so many activities to do that you could spend a few days trying to get through it all. Most of the town was built in the early 1900s, and the buildings were built then too. Some buildings, like the Powerhouse and Hotel Brunswick come with information centers that can tell you all about the building and how it has impacted Kingman, Arizona. Grab some ice cream or treats at the local bakery before heading back to the RV park. When you stay at Zuni Village RV Park, you and your family will all be comfortable. Located conveniently in Kingman, it is the closest and easiest place to stop to get a look at the historic downtown area. Rest your head in your own RV that will be parked in our large parking spaces. Your spot comes with all the hookups you’ll need, and our convenient picnic areas and restrooms make your stay comfortable and affordable. When you need an RV park to stay at, make Zuni Village your place to go. Many of our guests at Zuni Village RV Park express interest in taking guided tours of nearby Kingman, Arizona. That’s why we decided to research guided tours and group tours for you and pass along all the information you will need. Our friends at Desert Wonder Tours are dedicated to showing you the wonders of Kingman, Arizona and the rest of Northwest Arizona. Whether you are interested in historic locations, cultural museums, or scenic deserts, they can design the perfect experience for your preferences. They’re so proud of our beautiful part of the world and can’t wait to share it with you. Another great thing about Desert Wonder Tours is that their adventures are ecofriendly (in addition to being tons and tons of fun)! Next time you are staying at our RV park, we hope you’ll consider one of the guided tours of beautiful Kingman, Arizona. You can choose to tour wineries, caverns, or even experience a Western mining town. Whichever you select, we know it will be an unforgettable experience that you will treasure for the rest of your life. For more information on making a reservation at Zuni Village RV Park near Kingman, Arizona visit the website at www.zunirvpark.com. If you love to adventure, you need to stay at an RV park. An amazing hiking trail in Kingman, AZ is Badger Trail. The trail is just 3.2 miles, but it is through some amazingly beautiful scenery. While hiking, you’ll gain almost 1,000 feet in altitude through the three miles. It is considered to be a moderate hike, so you shouldn’t worry about being too exhausted at the end of it. It is a great activity for both adults and children. Thankfully, the Zuni Village RV Park is conveniently located just minutes from Badger Trail. Whether you are wanting to hike or do the bicycle trail, you’ll need a place to rest your head when the day is done. Adventuring can be tiresome, and nothing feels better than lying your head down in a place you are familiar with. Bring your RV with you and stay at one of the best RV camps you’ll find. Our spots are large and our amenities beat out all competition. There’s nothing like the convenient bathrooms and hook ups that are included in your stay at Zuni Village. We promise that you’ll enjoy your hike through Badger Trail, but you’ll enjoy your stay at the RV park even more. When traveling throughout the Grand Canyon, your family needs an RV campground that is reliable and refreshing. Havasu Falls is a location that has recently blown up in popularity. The beautiful bright blue water that cascades down the Grand Canyon rocks is a site that everyone should see once in their life. The surrounding red rock of the canyon makes the water seem even brighter. 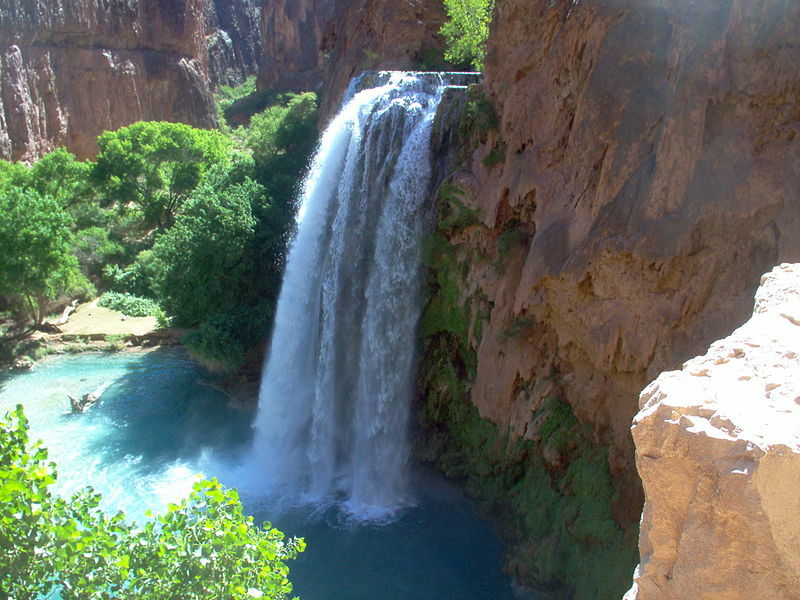 This waterfall is located within the Havasupai tribal lands, and it is a very sacred and clean place to be. It is perfect for those who love to travel and see new places. They simply cannot be compared to any other place in the world. It is one of a kind, and the wonder you experience there will last a lifetime. When you get the opportunity to travel to Havasupai Falls, do it the right way. This water isn’t going anywhere, so you might as well stay a few miles away at the Zuni RV Park in Kingman, AZ. 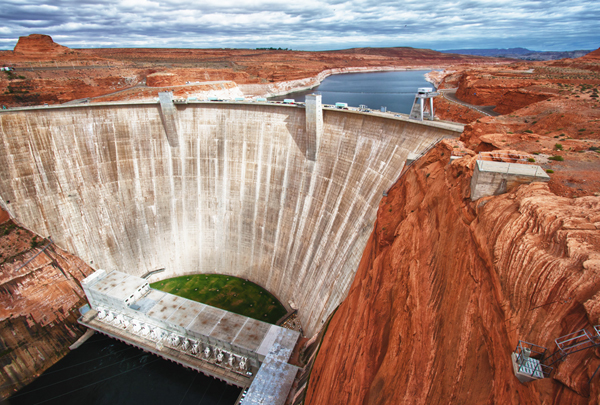 Our accommodations are within driving distance to the Grand Canyon and Havasupai Falls. We have everything you need to make your trip a relaxing one. Zuni RV Park has Wi-Fi, a swimming pool, and restrooms. There’s enough space for everyone in your family, and we accommodate both big and small RVs at our RV campground. If you’re going to the Grand Canyon, stay at the Zuni RV Park. There’s nothing better than seeing how beautiful Grand Canyon National Park is from the comfort of your own RV. You and your family will be amazed at the stunning landscape that is a wonder for all. Seeing this American treasure is a once in a lifetime experience for many people, and it should not be rushed. Rather, it should be an enjoyed and cherished vacation. Take your time seeing the largest canyon in the world. To fully experience all the Grand Canyon has to offer, you need to stay around for a few days. You may as well make it an experience and travel with your family in an RV. Then, after you view the beautiful Grand Canyon West, Zuni RV Park is just a few miles away. We have the best RV campground you could possibly want. Another wonderful attraction is the Skywalk bridge. The Skywalk at the Grand Canyon is something you can’t miss out on. Your family will love it, just don’t look down if you’re afraid of heights! 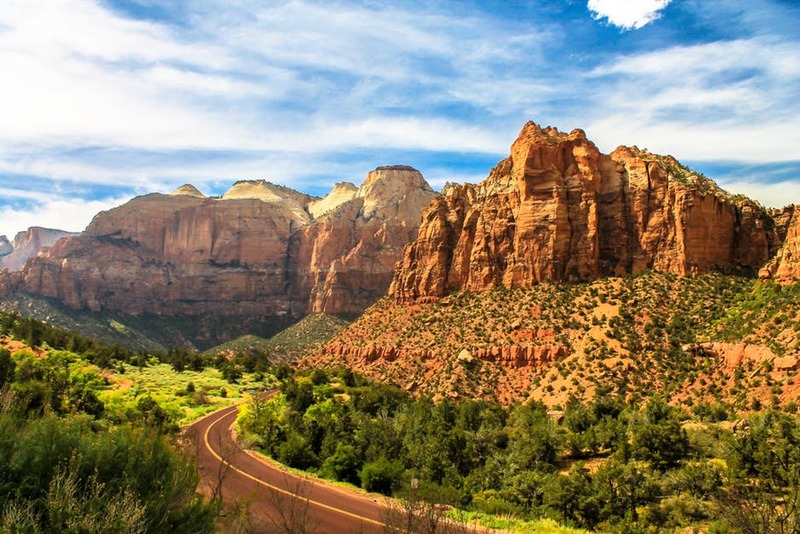 Its picturesque views of red rock is amazing, and the glass walkway is unlike anything you have ever experienced. Both dare devil kids and adults alike will love the thrill and excitement they get from walking on glass so high up in the air. Once you and your family have gotten enough thrills for the day, our RV campground will be there for you to come back to and relax. You’ll feel right at home. We are located in Kingman, AZ, and our campground is a site to behold all on its own. Zuni RV Park is within driving distance of Grand Canyon West, and our accommodations make for a comfy place to lay your head. Our rates are highly competitive, and we offer daily, weekly, and monthly rates for your perfect vacation. Don’t miss out on our picnic tables that come standard with each campground! Zuni RV Park also has Wi-Fi, a swimming pool, and a place to let your pets roam around and meet some friends of their own. Staying at the Zuni Park RV Campground in Kingman, AZ gives you direct access to the state that defines the American Wild West Frontier. Arizona is ripe with stories that romanticize the Old West. Picture cowboys and cowgirls swinging their lassos across sagebrush while grand monuments of red rock set the stage. Listen to the hustle and bustle of mining towns teeming with activity brought on by gold fever. Zuni RV Park is conveniently located close to the main thoroughfares that take you back in time to some amazing places that give you a taste of the country’s history. Enjoy the view from the sky with this amazing video of the Grand Canyon.